If you want to have a short Tibet Tours, you should have a brief and clear understanding of the most famous scenic spots of Lhasa tour. There is a good way to get some suggestions from friends and relatives who have traveled there. 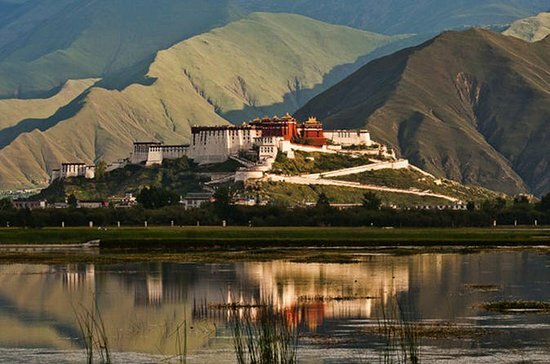 So do you know the top 10 Lhasa attractions? Here we list them one by one according to the number of tourists in recent years. As the heart of Lhasa city, the Potala Palace was constructed in 637 by King Songtsen Gampo because of the political marriage. It was rebuilt in 1645 during the rule of The Fifth Dalai Lama. 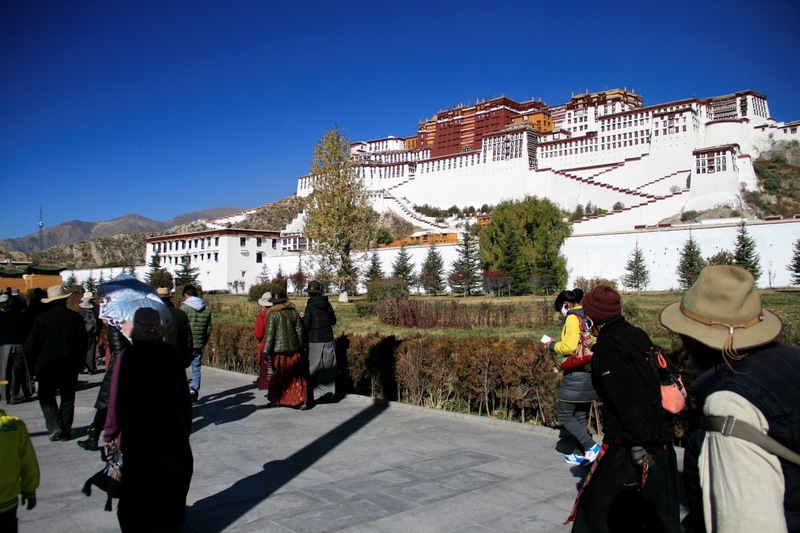 In 1649, the king and his government lived in the Potala Palace. In 1994, it was recorded in the UNESCO World Heritage List. 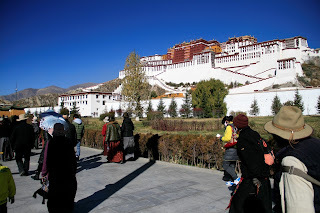 The width of the Potala Palace is 400 meters, and the length of it is about 350 meters. Nowadays, it has become a splendid museum, which has 13 stories with 1,000 rooms, 10,000 shrines and 200,000 statues totally. This famous temple is standing in the business district area of Lhasa city. It was built in the rule of king Songsten Gampo for the purpose of pleasing the Nepalese princess, Bhrikuti. Among those countless temples in Tibet, it has become a holy land and been thought highly of by most Tibetans. It was listed in the UNESCO World Heritage Site in 2000. Recently, the Gelug school is in charge of it. In 1755, a park-style construction was in the process of building in the west area of Lhasa. From the year of 1880 to 1959, the king used it as a summer resort, administrative center, and religious center. It became a part of the UNESCO World Heritage Site in 2001. The best season for tourists to visit Norbulingka is in summer and autumn with charming dancers, singers, and festivities. Because of its particularity, it has become one of the best parks in Tibet. On the surrounding of Jokhang Temple, there is a famous and vital area named Barkhor Street, a place for devotional pilgrims from rural areas in a long distance. They walk around it and do some prayers here once a year. There are three important Gelukpa temples in Tibet, Sera Monastery, Ganden Monastery and Drepung Monastery. Sera Monastery ranks at the top. Built among the wild roses, this temple was given a name of “Sera” which stands for the blooming roses. After 3:000pm, the lamas will have a hot debating activity, which attracts many tourists. Nowadays, more than 3000 monks are staying here. The location of Drepung Monastery is at the foot of Mount Gephel, which is the biggest monastery in Tibet even on the planet. More than 10,000 monks live in Drepung Monastery. As the provincial and the first modern museum in Tibet, Tibet Museum, the cultural history of Tibet, is in the west of Lhasa city. It is close to Norbulingka and Lhasa Hotel. Tibet Museum was found on October 5, 1999. The altitude of the salt lake - Namtso Lake is over 4000 meters, and the area of it is about 1,920 square kilometers. It is famous for the different size of ice islands. The weather is changeable, and the snowstorms always happen. Located in a town in the north-west of Lhasa, Yangbajing is famous for hot springs as the main source of the electricity for Lhasa. It is the highest altitude springs in China, and the temperature degree can reach 30. The second important temple in Lhasa is Ramoche Temple, also called “Minor Jokhang Temple” which belongs to a buddhist monastery. Ramoche Temple and Jokhang Temple are the sister temple, both of them were built in the same time.